Have I ever cooked from any of said books? No! But I did finally sit down and read through his Good Food, Good Life book to learn more about Stone and his way of cooking. 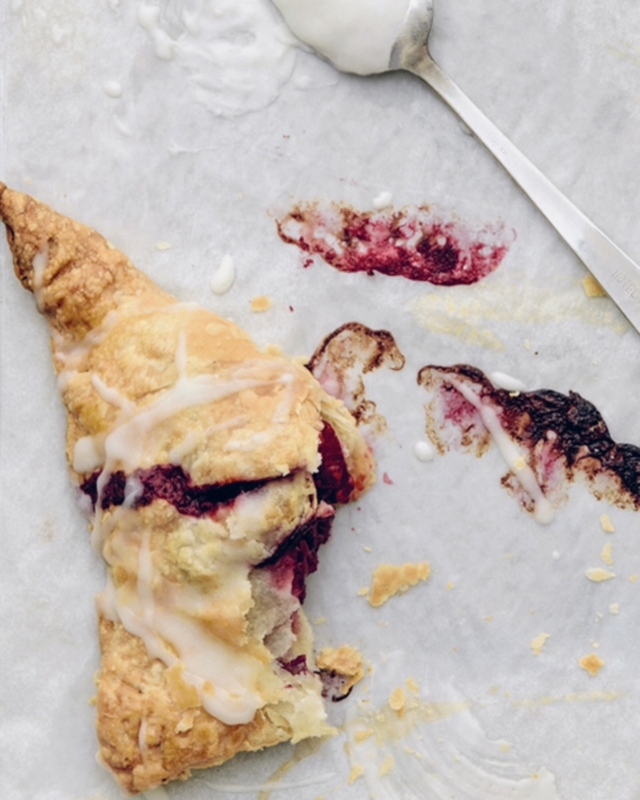 Before I even looked at a recipe, I was taken in by the photographs in Good Food, Good Life. I want to get to know Stone! He looks like my kind of person: relaxed, casual, and family oriented. Although I'm always a bit leery of books by restaurant and television chefs, I was confident I'd like Stone's dishes, based on the recipes I've seen in posts linked to Weekend Cooking. I was right. The food in this cookbook is incredibly accessible and easily reproduced in a typically equipped home kitchen. As Stone says in the introduction, there are the recipes he makes "at home from morning to night" for his family and friends. The nature of the recipes bears this out: no odd ingredients or fussy techniques. Instead you'll find simple braising, roasting, and grilling. If you know how to chop and boil water, you'll probably have good success with the dishes in this cookbook. Spice-rubbed pork tenderloin: grilled and served with grilled asparagus, perfect for spring. Falafel: made with almonds, cayenne, and cilantro. Yum! Roasted squash: napped in brown butter. Oh yeah. What else? Strawberry turnovers (see scan), walnut-date muffins, roasted salmon, broccoli rabe pasta, and tomato gratin. You should see how many bookmarks I have in Good Food, Good Life; so many recipes are calling to me. The design is clean and fresh, with lots of grays and whites. Very inviting. I bought the eBook edition and mine doesn't have an index, which makes me a little unhappy. On the other hand, it's easy enough to do a search in an eBook. Bottom line? What the heck am I waiting for? I should just listen to all my online friends and cook from a Curtis Stone book already. I highly recommend Good Food, Good Life and can't wait to explore the other two Stone cookbooks I bought. 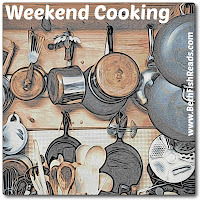 In a large bowl, whisk the flour baking powder, sugar, and salt to blend. Using your hands or a wooden spoon, mix in the cheese and corn. Add the cream and gently mix with your hands or a wooden spoon just until a moist dough forms; do not overwork or knead the dough, or the biscuits will be tough. Form the dough into 6 mounds on the prepared baking sheet, spacing them evenly. Bake for about 20 minutes, or until the biscuits are golden brown on the top and bottom and just baked through. Serve warm. NOTE: Scans and recipes are used here in the context of a review. All rights remain with the original copyright holders: Curtis Stone, Ballantine Books, and/or Ray Kachatorian. 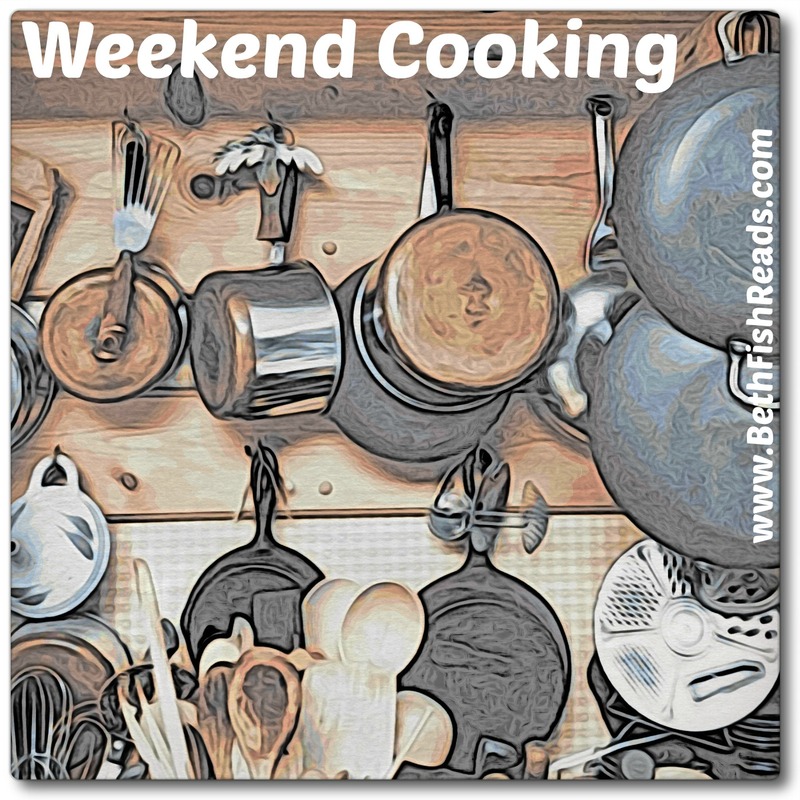 Curtis Stone does seem to come up in a lot of blogs, so your exploration of these cookbooks is very welcome. I feel really out of it, though, since I have no idea what he does on TV. I must admit that you didn't convince me to buy any of his cookbooks, though, since those recipes all seem to be a rather frequently repeated type of globally-inspired cuisine. As you say. Curtis Stone does recipes for one of the supermarkets here. I have tried a couple. One was good. The other not so much. I am enjoying his cookbooks and recipes, so glad you are highlighting this book. I don't have that one but I have been checking his other books out of the library. I ought to buy one. His recipes are surely easy to follow and with the excretion of a pork roast that went horrifically wrong, everything has been a success. Great post! I love pan bagnat. It's one of those things that becomes more than its ingredients when you make it. That's exactly the kind of cookbook I like! I've never tried any of his recipes, but your review has convinced me to check out some of his books. 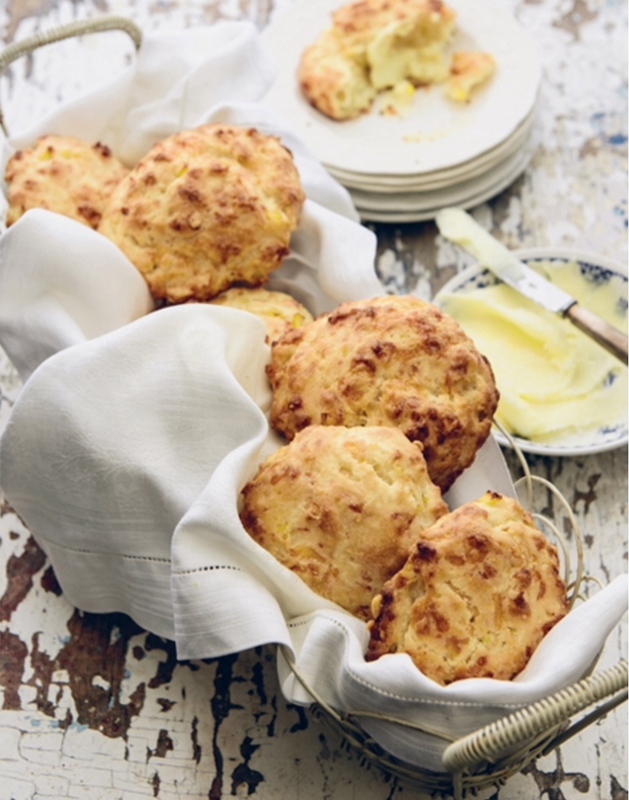 I like all the recipe suggestions you listed in this post; those cheddar and corn biscuits sound good! And he's easy on the eyes. I've liked him since he first TV show Take Home Chef. Plus I could listen to him forever!! I've tried a few of his recipes and loved them. He's the featured chef right now at I ♥ Cooking Club. Those muffins sounds amazing! I've seen a lot of Curtis Stone's recipes around too and I've seen him on TV a number of times. I love his attitude regarding food and he just seems like a super nice guy so I've been wanting to try some of his recipes. I'm glad you enjoyed this! I have never tried any of his recipes however I do like what I see here. I wasn't really familiar with the name Curtis Stone, but those recipes you've listed from his cookbook are making my mouth water! 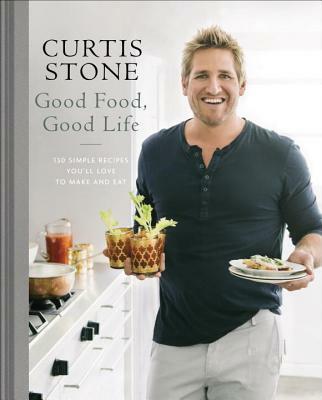 I've never picked up a Curtis Stone cookbook, but I know him from TV. His food philosophy always did seem relaxed and delicious. I'll have to check out his recipes! I have one of his books, and I agree, I love the casual and delicious sounding recipes. I've been experimenting with a few of his recipes lately, thanks to some library books. Love the photography. Those biscuits sound fantastic, I'm pinning this one. I don't think I've made too many Curtis Stone recipes, but I sure have been hearing a lot about him lately. I fear I am missing out. You and Tina have convinced me. Just requested this from the library! My mother and I always used to enjoy watching his cooking shows - great personality. I have never tried cooking his recipes, but I might have to change that too!